Some of my favorite times have been spent in wilderness, those far away, wild and remote areas where nature is left alone, where motorized traffic is not allowed, where you might walk or paddle for miles and not see another soul. Over the years, I’ve enjoyed several remote areas, having hiked in Arizona’s Superstition Wilderness and paddled for days in New York’s St. Regis Canoe Wilderness and Minnesota Boundary Waters. I’ve camped, hiked or paddled in several others that dot the wild zones of Canada and Michigan. 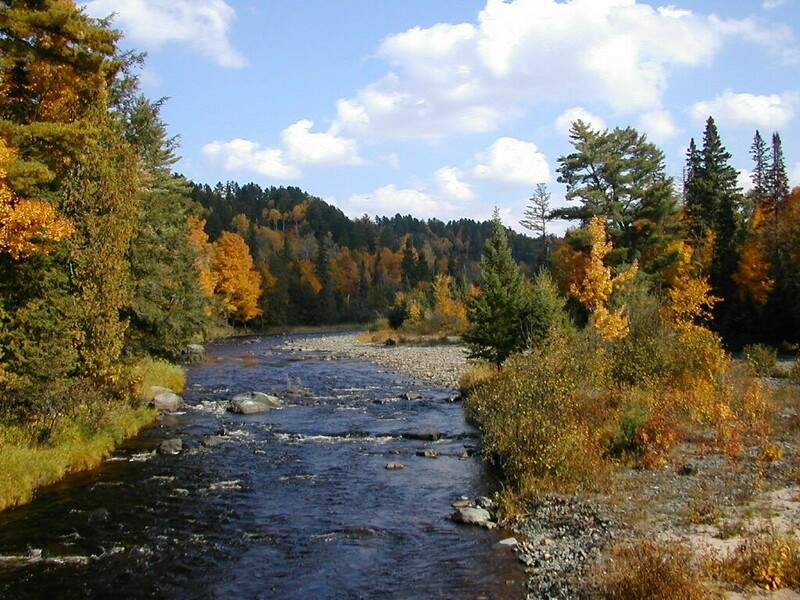 This year is the 25th anniversary for the Michigan Wilderness Act, which was passed in 1987. That law didn’t come without a fight. It took 10 years to pass. The act designated 10 federal wilderness areas in Michigan, which preserved more than 90,000 acres of old growth forests, beautiful remote lakes and miles of Lake Michigan sand dunes. Since then, other areas have been designated. Of the original 10, many know of Nordhouse Dunes, Michigan’s only federal wilderness in the Lower Peninsula. It’s just north of Ludington State Park. But far fewer know of the McCormick Tract, another wonderful place, or Sturgeon River Gorge, Rock River Canyon or the Mackinac Wilderness. Those, along with Horseshoe Bay, Big Island Lake and Round Island and Delirium wilderness are all in Upper Peninsula national forests. In March, I read about changing demographics at the Boundary Waters Wilderness — a portion of the Superior National Forest that spans more than one million acres. The average user now is 45 years old. The average was 26 years old in 1969. Those were among the findings in a study by Bob Dvorak, a professor at Central Michigan University. He looked at 2007 data and found that first-time visitors had declined to 6 percent, falling from 30 percent in 1969. Fewer go there to fish, and most who go are from Minnesota. I have to wonder if the change reflects the larger social trend of young folks going outdoors less. People usually don’t just dive into wilderness. That attraction generally evolves as one grows more comfortable in the wild. But Michigan wilderness managers say some Michigan wilderness areas are very popular. As a group, hunters are getting older. Hunting in wilderness requires stamina. Dragging out a deer takes strength, she said. Nordhouse draws a lot of visitors from Ann Arbor, Kalamazoo and Chicago, Venegas said. Women make up 35 percent of them. “People come because it is a designated wilderness,” Venegas said. The “wilderness” designation has a special cachet, something palpable that resonates with people who enjoy going where motorcycles and off-road vehicles and trucks and cars cannot go. Randy Charles said much the same about the Sylvania Wilderness in the Western Upper Peninsula, a very popular backcountry canoe area in the Ottawa National Forest. Sylvania, he said, still draws about 25,000 visitors each year. They come to paddle and backpack or fish in the summer, and snowshoe and cross-country ski in winter. That is a lot of people. Isolation is not the main draw of Sylvania. But getting into it is a challenge. And for many, that is good enough. Once there, visitors see like-minded souls, those who crave separation from the fast-paced, hectic world, a place where echoing loon calls at night remind us we have entered the wild. McCormick Tract and Sturgeon River Gorge get little use by comparison. Charles estimated maybe 1,000 to 2,000 people per year go there. But Sturgeon River is popular enough that forest staffers plan to build backcountry wilderness campsites. “McCormick is so isolated, you never run into another person there,” Charles said. That, for me, is all the more reason to go. If you haven’t visited a Michigan wilderness area, put one on your calendar this summer. Get acquainted and enjoy them. You can find out more about each by contacting the Ottawa, Hiawatha or Huron-Manistee National Forests. They can be found at: www.fs.fed.us. The Michigan Sierra Club also is holding a series of talks and wilderness celebrations this summer and fall. For information on those, see michigan.sierraclub.org. This entry was posted in Uncategorized and tagged Environment, Michigan Wilderness Act, National Forests, Nature, Wilderness. Bookmark the permalink. Must have been a slow day, had to lower yourself to writing something about Michigan for a change. Not at all on either count: not hardly a slow day and not hardly lowering myself. Glad you liked the column. I’ve enjoyed many of the areas over the years. Even enjoyed the political theater when the Michigan legislature was slugging it out about the bill. Hope you get a chance to enjoy them too..
What impact will/would the Sportsmen’s Heritage Act potentially have on these places? As a lover of both wilderness, angling, and the places where they co-exists so perfectly, this bill really has me conflicted . . . I really enjoy and appreciate your writing, Howard. Christopher: From my reading so far, it would have a detrimental impact in that it strives to open those lands up to motorized use.